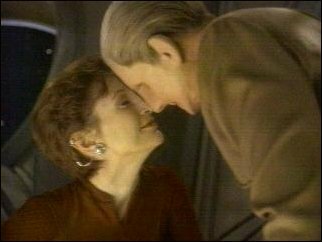 Here are links to sites with archives of Odo/Kira stories, plus other varieties of DS9-related fan fiction. If you know of additional Internet fanfic archives with Odo stories or Odo/Kira stories, please send the URL to us! Please note that most of these archives contain stories with mature content in addition to stories suitable for all ages. More Odo/Kira fan fiction for mature readers. A wide selection of Odo fanfiction. 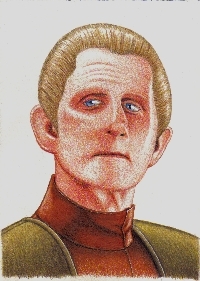 If it's about Odo, and it's not here, it's probably there! The Fic That is Here: Several stories by C. Zdroj. LOTS more of C. Zdroj's stories...a must-read for Odo/Kira fans. Star Trek: Deep Space Nine Fanfiction Link List: Extensive collection of links to all sorts of DS9-themed stories. Skywater's Fanfiction: Stories by Skywater based on ST:DS9 and several other universes. An archive of fanfic by a whole bunch of writers...enough reading material to keep an Odo/Kira fan busy for days!